During this episode (as we did with the previous one), Steve and Nigel continue randomly drawing 2016 show titles from a hat and pairing them with randomly selected questions, to see how much they remember from each episode and how much each episode has impacted their lives. This week, they will name their Best SA Drink Of The Week (Red Wine category). They will also share Nigel’s favourite preview video of the year. And they’ll look at the top half of Dan Drummond’s Top 50 Songs of 2016 – 25 through 1. 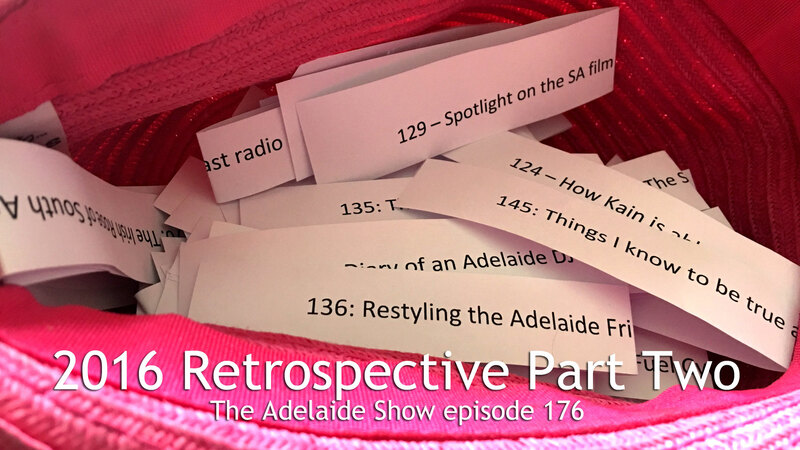 Suggested Tweet text: It’s #conversation #SouthAustralia-style on #TheAdelaideShow 2016 Retrospective Part 2. Is art a lifestyle choice? And our song this week is from tracks 25-1 of our musical curator, Dan Drummond’s, Top 50 Songs of 2016. 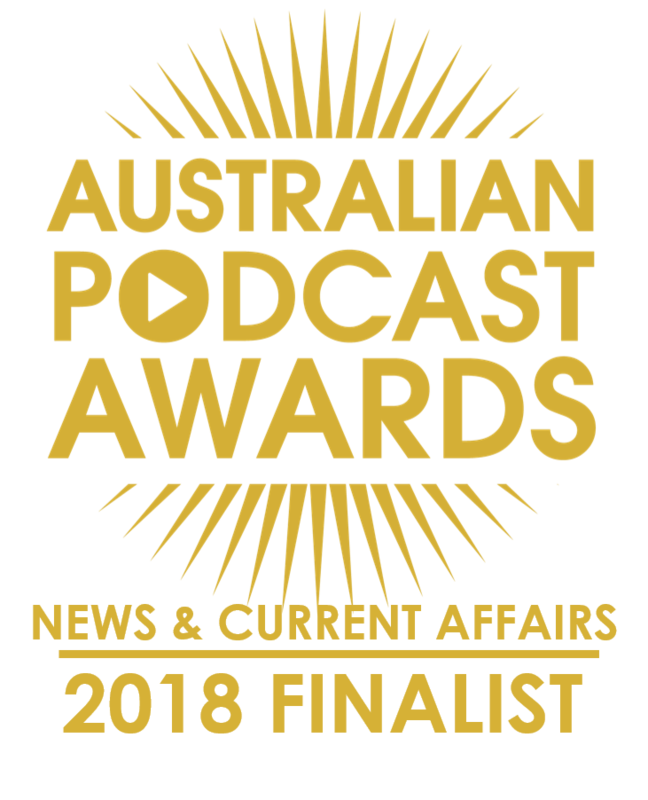 We have chosen number 7, Little Sister Waltz by Koral Chandler and The Goodbye Horses in ho nour of Steve’s daughters, AJ and Caitlin who are the little sisters to help us out with voiceovers for the podcast. Plus, we met Koral at the SA Music Awards and showed all the dynamo-spirit she is known for, which is a happy vibe to lead into 2017 with. 20 Mad Cactus HURRICANE best enjoyed live with brews and mates. 15 Thom Lion Harry FIRE ESCAPE has he ever written a bad song?? ?